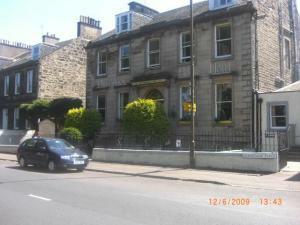 Choose from 35 hotels and guest houses in Lothians. Shown below a just a selection of the hotels available. To search within an area please use the menu on the right. This cosy, elegant, Victorian style hotel offers individually designed accommodation in the south of the city. Each room contains an en suite bathroom and has been respectfully furnished; with access to convenient amenities. Several rooms offer a hint of the luxurious - you can even treat yourself to a four-poster bed or a private spa bath should you wish. Relax by an open-fire in the ornate lounge, where you can sample a dram from the well-stocked honesty bar. Delicious full Scottish breakfasts are served in the elegant dining room, with Mathew's fine dining restaurant providing sumptuous evening meals amid a romantic atmosphere. Offering panoramic views across Edinburgh and beyond, this hotel is close to the city centre, yet away from its noise and congestion. The hotel has 2 restaurants: the Allermuir Restaurant within the main hotel, and a bistro bar within the hotel grounds. Buckstone Bistro is a well-known meeting place with its own conservatory and sun terrace, and is renowned for the quality of its fine food and Real Ales. Braid Hills Hotel is located on the main bus route just off the city bypass. There is easy access to the airport and the surrounding countryside. Revel in the warm historic splendour of this fascinating 13th-century castle, set amid forest and parkland by the banks of the River Esk. The hotel's 2 AA Rosette Dungeon Restaurant is located in the vaults, in the oldest part of the castle, for fine dining with an air of drama. For relaxation, Aqueous Spa combines spa treatments with hydro facilities including a massaging jet pool, sauna and steam pool. There is an archery and falconry centre within the grounds. The castle is within easy reach of Edinburgh city centre, and Edinburgh Airport. 5 miles (8 km) away is Rosslyn Chapel, which features in the 'Da Vinci Code'. Located in The Haymarket Area, the Apex European Hotel is in the heart of the West End of Edinburgh city centre, just minutes from Princes Street and George Street. All luxurious, contemporary rooms have a widescreen TV, luxury toiletries, power shower, free Wi-Fi internet access and 24-hour room service. After a busy day in the city, Metro West End Bar and Restaurant is a relaxing place to dine or enjoy a drink. The EICC and Lothian Road are within a 5 minute walk and The Gallery of Modern Art, The Dean Gallery and Murrayfield Stadium are close by. With free Wi-Fi throughout, these traditional apartments are located either in the heart of Edinburgh's Old Town or within 1000 metres of the world-famous Royal Mile. 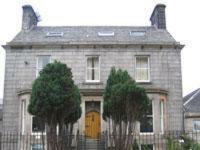 Auld Reekie Apartments offer tastefully furnished self-catering accommodation, decorated in a contemporary style. There is a range of spacious city-centre apartments, as well as one 4-bedroom cottage that is approximately 2.5 miles (4 km) from the city centre. 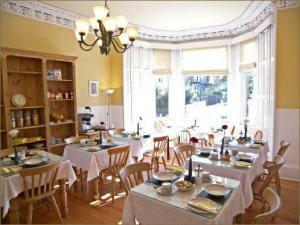 The cottage provides luxury accommodation and has easy access to all that Edinburgh has to offer. Please see the postcode for each apartment for its exact location. The apartments have spacious living rooms with stereo systems and TVs (most have LCD flat-screens). Each apartment has a well-equipped kitchen with a range of modern appliances. Due to the apartments' separate locations, there is no central office. On the arrival date, guests will be met at their apartment by a representative of Auld Reekie Apartments. From its vantage point on Castle Rock, Edinburgh Castle dominates the city skyline, whilst beneath it, in regal splendour, stands Edinburgh's famous and well-loved luxury hotel. Perfectly located at the heart of this exciting city, close to castles, palaces, shops, restaurants, bars and galleries, no other venue captures such breathtaking views in an atmosphere of refined comfort and sumptuous elegance. This hotel is well linked to major access routes and is just minutes away from Edinburgh International Airport and 4 miles from the historic city centre. Chats bar and lounge has been completely refurbished and is the perfect place to relax with friends or colleagues over lunch, dinner or drinks. The leisure club has an indoor heated swimming pool, spa bath, sauna, steam room and gym as well as a hair and beauty salon. Each bedroom has Marriott's 'Revive' luxury bedding package, complete with Egyptian cotton sheets. 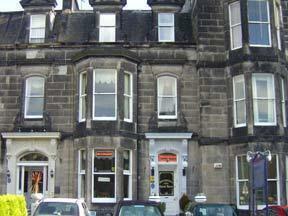 This guest house is a few minutes from Edinburgh's famous landmarks. It has free Wi-Fi throughout, free secure parking and en suite rooms with superior furnishings. Lauderville is rated 4-star by Visit Scotland. There are restaurants and pubs within walking distance, and excursions to local attractions can be organised. Full Scottish breakfast is available, as is a vegetarian option. 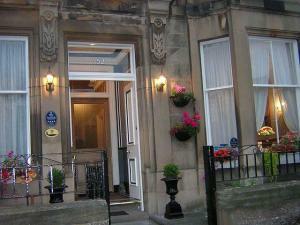 Lauderville Guest House has a secluded garden and is walking distance from Holyrood Park. Situated in one of Edinburgh's most desirable locations, opposite the Royal Botanic Gardens, this early-Victorian town house is also within easy reach of the city's renowned Princes Street. Ideal for both business and leisure breaks in Edinburgh, this small bed-and-breakfast hotel is set in the centre of the city, nestled amid fine terrace Georgian and Victorian houses, where Robert Louis Stevenson once lived. In the evenings you can sample the great selection of local restaurants, including: French, Italian, Spanish, Chinese, Indian and a bar/bistro serving modern European meals. The Inverleith is the first accommodation establishment in the city centre with on-street, all-day parking at an additional cost and free at weekends. Salisbury Green is a top-quality, elegant hotel in beautiful surroundings close to the heart of the city and part of the University of Edinburgh. Rooms at Salisbury Green have free internet access and deliver style, quality and comfort. The 18th-century mansion-house hotel has been carefully developed to reflect the atmosphere and the history of the building and its architecture. Salisbury Green is located in the grounds of Pollock Halls and has free parking for guests. Occupying a peaceful position opposite Pilrig Park, this beautifully restored Victorian villa is ideally set within a 15 minute walk of Edinburgh's main shopping area, Princes Street. Boasting traditional Victorian elegance with an added twist of contemporary style, this 4-star B&B provides a very warm Scottish welcome in a friendly and relaxed atmosphere. The owners, the Taylor family, endeavour to make your stay in Edinburgh as relaxed and comfortable as possible, so if there is anything you need, just ask. Getting around Edinburgh is easy on foot or by bus which serves all of Edinburgh - the bus stop is just outside! Craigmoss is also perfectly placed for trips on foot to the great caf?s, bars and restaurants. Within walking distance of picturesque Haddington and just 16 miles (26 km) from Edinburgh, Maitlandfield House boasts quality, efficiency, traditional charm and original elegance. The elegant and historic town house has a quiet, peaceful location. 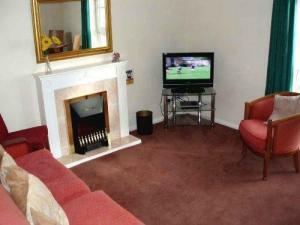 It is within easy reach of the A1, which offers fast, convenient access to Edinburgh city centre. The hotel's new Brasserie restaurant serves modern Scottish cuisine, prepared using locally sourced ingredients. With a stylish yet informal environment, the Brasserie offers an interesting selection of individual dishes and fixed priced menus, together with a balanced and well-priced wine list. The Brasserie was commended by the East Lothian Food and Drink festival in 2007 and again in 2008. Craigiebield house hotel is a family run, friendly and individual hotel, with guest satisfaction our top priority. You can be sure that you will be well looked after you during your stay. The hotel has recently reopened after a complete renovation to offer comfortable accommodation blended with the best of Scottish hospitality. Penicuik is situated just 8 miles south of Edinburgh, we are set in a quiet location yet only a few minutes walk to the centre of Penicuik. We have 18 bedrooms all individually designed, stylish and comfortable. Our Conservatory restaurant is bright and airy and we offer a tempting selection of fresh dishes Our oak panelled bar offers a comfortable relaxing place to enjoy a quiet drink after a long hard day. Offering great facilities and a fantastic city-centre location, this hotel is close to many of Edinburghs landmark attractions including Edinburgh Castle, Royal Mile and Holyrood Palace. Holiday Inn Express Edinburgh-Royal Mile hotel has a stylish decor, fully air-conditioned rooms, and free internet access. Included in the rate is a continental buffet breakfast. During your stay you can use the pool, sauna, steam room and gym at a local hotel (at an additional cost). Holiday Inn Express Edinburgh Royal Mile has a well-equipped meeting room. Situated on the south side of Edinburgh's popular Newington district, this family-run B&B is within easy reach of the city centre and its world-famous historic sites. Adjacent to the Cameron Toll Shopping Centre and just a short bus journey away from the city centre, the residence allows easy access to the New Royal Infirmary of Edinburgh, the picturesque Craigmillar Castle, Edinburgh University's Pollock Halls of Residence and the Royal Commonwealth Pool, which also has a health club on the premises. After a peaceful night's sleep, start each day with a good Scottish breakfast before heading out to explore this wonderful area. 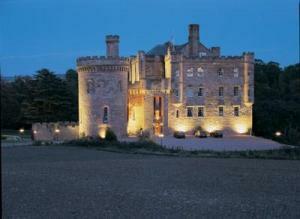 The Bonsyde House Hotel is an elegant and historic Scottish country Hotel. Bonsyde House Hotel is a grade 2 listed building set on a hillside above the Royal Burgh of Linlithgow: birthplace of Mary Queen of Scots, overlooking its loch and palace and the world famous Forth Bridge. One of the hotel's outstanding features is the conservatory restaurant, which gives diners the opportunity to relax over a meal while enjoying marvellous views over Linlithgow and its palace. Abbots House Hotel is a Georgian building in a quiet area of Leith, 10 minutes from Edinburgh city centre. Leith Docks and the Ocean Terminal are within walking distance. Abbots House Hotel offers a choice of continental, vegetarian or full English breakfasts to guests. A range of restaurants and pubs can be found in the surrounding area, all within walking distance of the hotel. All rooms are individually decorated and well furnished, with comfortable beds and a TV. Some of the rooms have en suite facilities. Free parking is available for guests. Set within a Grade B-listed stone building and situated on Edinburgh's arterial road, this family-run hotel has long been regarded as one of the city's finest small, private hotels. Originally built in 1868, Ashgrove House Hotel has recently been refurbished to offer all modern comforts within a traditional Victorian villa. Today, contemporary facilities such as free wireless broadband internet access have been seamlessly integrated into the hotel's attractive original exterior. Convenient located on the A8, which serves Edinburgh city centre from the west, the hotel occupies a superb central location, within a 10-minute walk of the world-famous Princes Street. The hotel also offers free on-site public parking. In addition, the hotel provides easy access to other Scottish cities via excellent transport links. It is on the bus route to Edinburgh Airport (Airlink Bus); 5 minutes away from Waverley train station; and within a 3-minute walk of Haymarket station. This privately owned and very popular Victorian guest house offers Scottish hospitality just one mile from the heart of the city, close to all major attractions. Hosts Lizzie and Gary are both originally from Edinburgh, and can share a wealth of information with their guests. Experience the delights of staying in a traditional Victorian house with original features. Please be aware there is no lift, and rooms are located on the first and second floors. Set within an imposing stone-built Victorian villa, this charming hotel is ideally set in the heart of Edinburgh's Corstorphine district, just 2 miles (ca 3.2 km) away from the Airport and City Centre. Lying in its own grounds with walled gardens and extensive private parking, the house forms a true haven of peace and tranquility amongst the hustle and bustle of its surroundings. This beautiful Victorian Villa retains most of its original features, with some of the most ornate original cornices. Along the A8 tourist route into the city, the hotel is within easy travelling distance of all the attractions of the capital, part which is a World Heritage Site. Nearby lies Edinburgh Zoo, Murrayfield Stadium, and Gyle & Edinburgh Business Park. 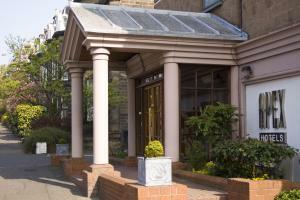 Corstorphine Lodge Hotel has been awarded 4-diamonds by the RAC and 3-stars from the AA Tourist Board. This very friendly Edinburgh hotel combines country style with the tranquility of a small castle, and is just a few minutes' walk from the bustling city centre. The individually decorated bedrooms add character and style to the modern conveniences of free Wi-Fi and free car parking. The 'Taste of Scotland'-awarded Skerries Restaurant and the Stane Bar boast over 90 malt whiskeys, plus a good selection of local beers. Scrumptious bar meals and exquisite ? la carte menus are served throughout the week, and private dining is available on request. Hotel Missoni Edinburgh is a luxurious new hotel on the Royal Mile. Designed by famous Italian fashion house, Missoni, it has funky, stylish features and colourful designs. The unique, bold, designer hotel has rooms with espresso machines, free movies, rain showers or deep baths and Missoni-designed bathrobes and slippers. There is free Wi-Fi throughout the hotel. Bar Missoni and Cucina Missoni are at the heart of the hotel. The elegant Cucina can seat 100 people in its vibrant Missoni-designed dining room. This guest house has free Wi-Fi and a central location close to Edinburgh castle and the shopping centre. Sakura is a Victorian guest house on a main bus route. In the surrounding area are many good restaurants and pubs. Rooms with en suite bathrooms are available, as well as those with shared or private facilities. A welcoming Victorian villa, family-run Martins Guest House has free Wi-Fi and original period features. Waverley rail station is a short drive away. Each comfortable room has a TV and an inclusive breakfast is provided. The hosts are friendly and welcoming. There are games and a DVD library. The guest house is just a 20-minute walk from Edinburgh Castle and Princes Street. There is access to an excellent bus service, outside the guest house. 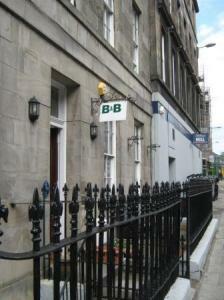 This friendly B&B overlooks Leith Links Park. 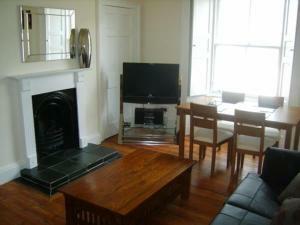 It is 5 to 10 minutes from the city centre and has free guest parking and spacious en suite rooms at good-value rates. Located on a major bus route, you will have easy access to Edinburgh's major attractions. There are many superb restaurants in the redeveloped Port of Leith, which is near the hotel. 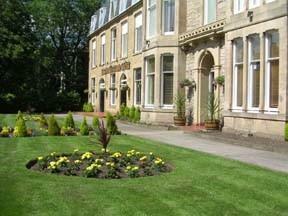 Park View House Hotel can arrange discounted car hire and city tours. The former Royal Yacht Britannia is at Ocean Terminal, the modern cinema and shopping complex at Leith Docks. Leith Links, the world's first golf course, is where Mary Queen of Scots learned the game. Oliver Cromwell's new model army camped on the links in the 17th century. These quiet 2-bedroom apartments are an easy walk from Edinburgh's shops, attractions, theatres, restaurants, bars and nightlife. Excellent public transport is nearby and there is free on-site parking. Carlton Apartments is located on a direct road into Edinburgh city centre and has easy access to Waverley Railway Station, St Andrews Bus Station, Edinburgh Airport and Ocean Terminal for Royal Yacht Britannia. The apartments are graded 4 star by Visit Scotland. Each has free Wi-Fi, electronic entry, a fully equipped kitchen, a lounge with sofa bed and a bathroom. There are 2 bedrooms per apartment: 1 double and 1 twin (2 single beds). There is also additional flexible sleeping in the lounge: 1 twin-action sofa bed. There is a separate fully fitted kitchen, which includes a washer/dryer and a bathroom with a bath and power shower.